If you are a fan of old arcade shooters, bright colors and a rock soundtrack, Score Rush Extended may be the game for you. 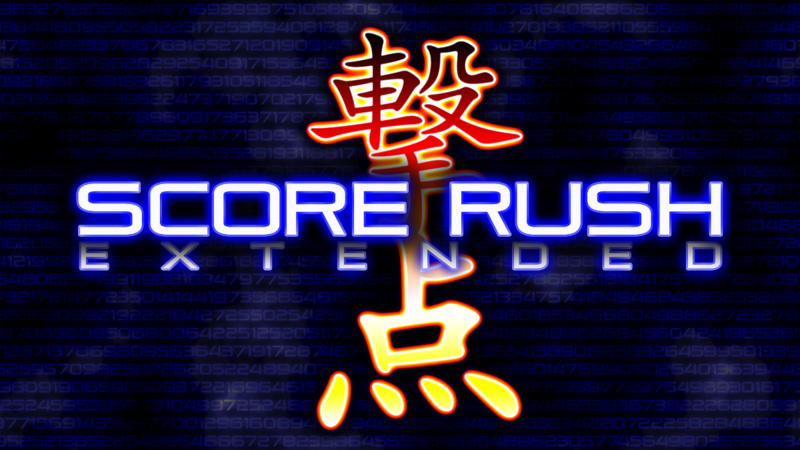 Score Rush Extended is a widescreen shooter, meaning you have more room to work with when moving laterally to avoid bullets. Even though you seem to have a lot of space to move around, you’ll still need to dodge and weave past bullets while shooting enemies and tackling the various bosses. The game can be played with up to 4 players in local co-op, and is perhaps the most interesting way to play. Four different variations make up the two gameplay modes in the game. Score Rush and Boss Rush are the two modes with the ability to play them in Solo or Dual ship variations. Score Rush has you going through the arcade mode while trying to tackle all the normal enemies and the numerous bosses. Boss Rush tasks you will taking on each of the bosses to see how far you can get and achieve the biggest score. Where Solo and Dual ship variations come in, is that instead of guiding one ship, a second ship will appear side by side to output double the damage you are already doing. The only downside is that you have to watch out for two separate hitboxes, which is at the center of your ship. Both the Score Rush and Boss Rush can be played in the Solo or Dual modes. Three difficulty modes that ratchet up the difficulty even more are available if you are a glutton for punishment. Online leaderboards are supported for each variation of play. The game is supported for up to 4 players in local co-op. I was only able to play with 2 players and my partner and I were formulating our plan and where each other needed to move and shoot. The game is a little more strategic than I was originally thinking it would be. 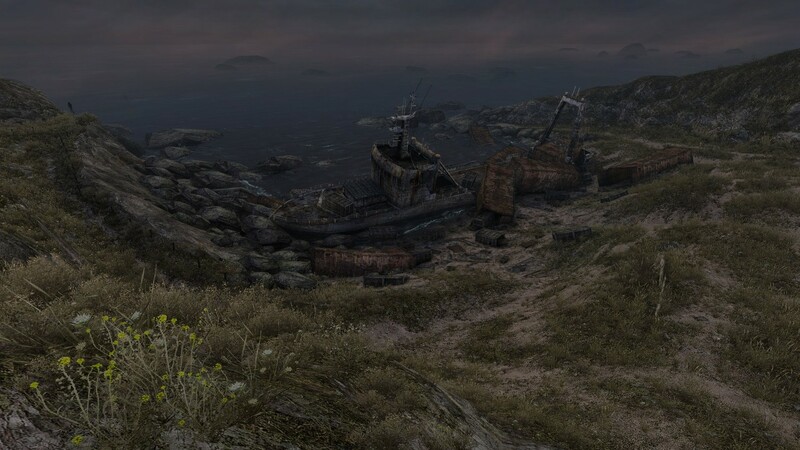 I can only imagine the chaos that would be four players, and if the game is played in dual mode, that would be 8 total ships moving around the screen. There aren’t any levels in Score Rush Extended. Each time you play, you’ll start over from the beginning. It works well as a short pick up and play game, and plays well in short spurts. Each day I found myself just wanting to jump on for a bit to see how far I could get. At first it may seem impossible, as I could only reach the first couple of bosses, but the more you play, the more you learn and get adapted to the gameplay and enemies around you. I found myself reaching the 7th and 8th boss in the game several times, and that takes close to ten minutes to get to in one sitting. To help you get further in the game, there are two different power-ups. One adds to the overall firepower of your ship and the other adds a tail to the end of your ship and also outputs additional damage to enemies. Even on the normal difficulty, the game is pretty tough, but after playing for a while, I’m glad there are other difficulty modes for players looking for an even harder challenge. In terms of presentation, the game runs great, as I did not see any framerate dips even when the mayhem on screen was at the max. The colors on the bullets, enemies and bosses are bright and show a wide range of colors. One great addition is the ability to change the color and the tone of each of the bullets, because on the default multi-color, some colors blend in with the background and other ships in the area. I found setting the bullets to all one color, a better option. The rock soundtrack that encompasses the entire game fits into the game very nicely. Many times I didn’t necessarily care about the music, but when the game’s tension was increased, I found myself enjoying the music more and more. Score Rush Extended works great as a game to play in short spurts to increase your score and defeat others on the leaderboards. I would absolutely recommend playing the game with others in local co-op, but that doesn’t mean the game isn’t fun in single player. It’s a game where you can get into a zone and be lost for ten minutes in the music and gameplay. It may not have a ton of content for players looking for variation, but if you embrace what Score Rush Extended offers, you shouldn’t have any trouble finding enjoyment.